These little goodies taste divine and are bound to impress, but they’re actually surprisingly easy to make. 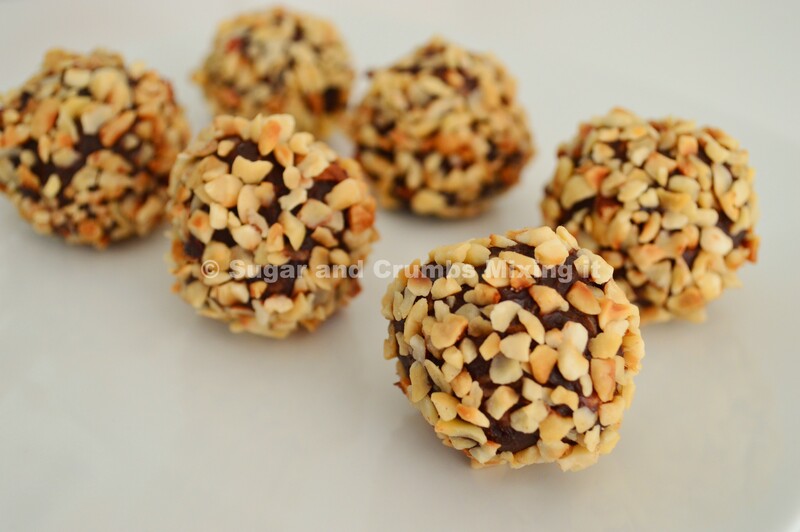 The classic praline texture with crunchy pieces is achieved by making a fine sugar glass with hazelnuts in it, which is processed into fine pieces and stirred through the truffle mixture. Adding a little Sugar and Crumbs Chocolate Cherry Cocoa Powder to the truffles goes beautifully with the hazelnut, and gives them a fabulously velvety texture. 1. First, stir together the caster sugar and the water in a small saucepan. Heat gently, stirring every now and then, until the sugar has dissolved. Then, turn the heat up to medium and heat the sugar syrup without stirring. It’s very important that you don’t stir the mixture, or it will turn lumpy – just swirl the pan periodically. 2. Prepare a small tin by lining it with tinfoil, and brushing that with a fine layer of oil. When the sugar syrup turns a deep golden-brown, pour it into the prepared tin, and sprinkle 40g of the chopped hazelnuts over the top. Leave to set rock hard – this will take about 20 minutes. 3. Rap the set sugar sharply with the handle of a knife to break it up into pieces – be careful, they may have sharp edges. Transfer them to a food processor to break up into fine crunchy pieces. 4. In a large bowl, place the chocolate (broken up into pieces), the double cream and the butter. Microwave in thirty second bursts, stirring each time, until you have a smooth mixture. Add the Sugar & Crumbs Chocolate Cherry Cocoa Powder and mix well. 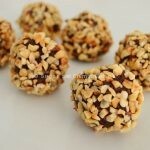 Allow to cool to room temperature, and then stir through the prepared praline mix. Place in the fridge until solid. 5. Scoop out spoonfuls of the mixture and shape quickly into balls with your hands. Roll in the remaining chopped hazelnuts until coated all over. It’s best to store these truffles in the fridge until they’re eaten.